20 of July in New-York Russia together with China opposed a Statement of the UN Security Council (http://www.un.org/News/Press/docs/2011/sc10332.doc.htm) on the security threat of climate change. Russian representative V.Churkin also said that Russia will move to low-carbon economy with attention to nuclear energy. Nuclear accident in Japan is a world tragedy and a signal to revise plans for development of nuclear energy in Russia and other countries. Events in Fukushima visually confirm the assertions of critics of "peaceful atom" that the danger level of nuclear power is too great to consider it as a reasonable way to generate energy. The Russian Social Ecological Union signed a letter to Russian President Dmitry Medvedev with the proposal to radically revise the policy in the nuclear industry. The letter requests the audit of security measures of operating Russian nuclear power plants and the development of plans for early decommissioning of obsolete nuclear power plants. The letter draws particular attention to feasibility of refusing to build new nuclear power plants and shifting resources to development of renewable energy sources. Подробнее о Prevent "Fukushima"in Russia! 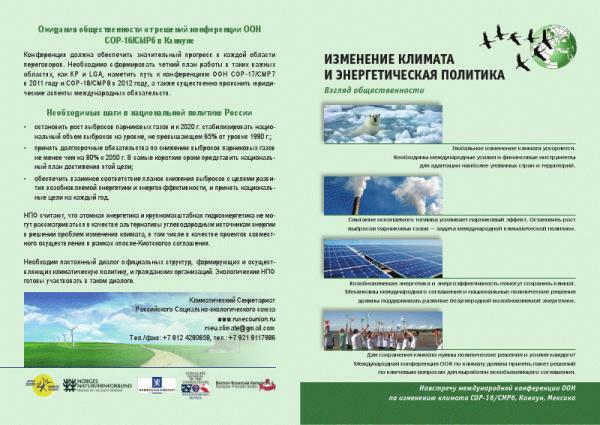 October 24-25: the third All-Russian conference of NGOs dedicated to climate and energy issues and public participation was held in Moscow region by Russian Socio-Ecological Union (RSEU). 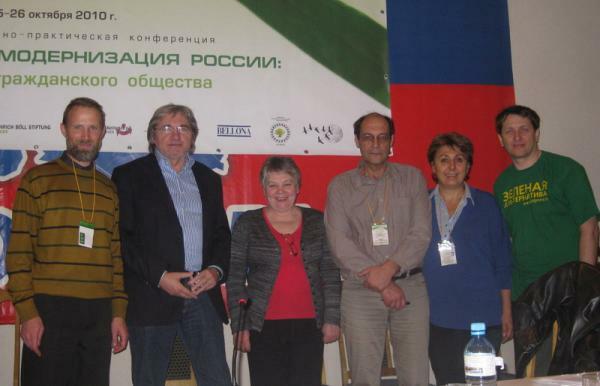 RSEU Climate NGO network gather together with partners annually since 2008. The result of the conference became NGO Proposals for the Action Plan for implementation of the Climate Doctrine and necessary governmental solutions for supporting low-carbon energy.